How would you feel at that moment when you don't totally have to rely on the strength of your smartphone's battery? 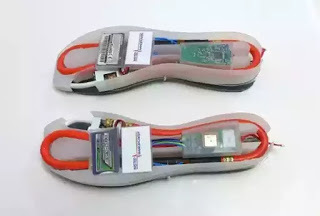 Well that feeling is about to become a reality as some mechanical engineers at the University of Wisconsin-Madison has invented an innovative energy-harvesting technology that can capture the power of human motion to charge mobile electronic devices such as smartphones and laptops,this tech can reduce reliance on batteries in mobile devices and charge your smartphone as you walk. Power-generating gear could be especially useful for the military, as soldiers currently carry heavy batteries to power their radios, GPS units, and night-vision goggles in the field. The advance could also provide a source of power to people in remote areas and developing countries that lack adequate electrical power grids. “Theoretical estimates show that it can produce up to 10 watts per shoe and that energy is just wasted as heat. A total of 20 watts from walking is not a small thing , especially compared to the power requirements of the majority of modern mobile devices, as Human walking carries a lot of energy.” explained Krupenkin. Krupenkin believes that this technology could be a game-changer in the energy space that could power a wide range of devices from your phone to your tablet to just about anything that requires batteries for operation. A typical smartphone requires less than two watts of energy, and these mechanical engineers have developed new methods of directly converting mechanical motion into electrical energy that are appropriate for converting mechanical energy into electrical energy that would work for generating power from a human walker. The process the team is working on now is known as reverse electrowetting. This technique uses a conductive liquid that works with a nanofilm-coated surface that is able to produce electricity. The engineers are looking for industries to commercialize the technology through their startup company. Whats your view on this? Do you think this will go a long way in acting as an alternative to powering Smartphones as a result of power shortages some parts of Africa is facing? ?